The Heart of the Problem With Israel: The Mass Expulsion of the Palestinian People | Jews Say No: Not In Our Name! As Israeli government violence against the Palestinians in Gaza intensifies (the latest news being an aggressive ground invasion), I saw a discussion on-line about whether Israel has become more brutal or the brutality has simply become more visible to the public. I also remember the many Israeli leaders I met in the 1970’s from Labor and Mapam and from smaller parties on the “Zionist left” who seemed kind and caring and markedly different from Benjamin Netanyahu—and in many ways they were, not just in their political rhetoric (they all said they were socialists) but as human beings, or so it seemed. But when I finally dug a little deeper and read my history, I learned how they, too, were participants—in fact, often leaders—in the plan to drive the Palestinians out of their homes and off their land. Nothing very kind or caring about that, to say the least. The bottom line: Israel was created based on the expulsion of over 700,000 Palestinians from their land and from their homes (what Palestinians call the Nakba, the catastrophe). This is the heart of the problem. 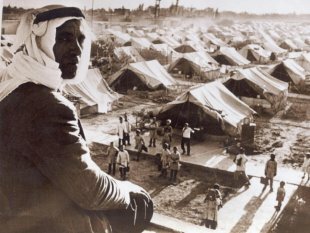 In some circles, particularly among “progressive” Zionists, the terrible injustice done to the Palestinians is acknowledged, but as awful as the Nakba was, they say, it was what had to be done to create and ensure the security of the Jewish state. (The most recent proponent of this position is Israeli writer Avi Shavit.) It was a terrible price that had to be paid, he and others concede. To be clear, the price was paid by the Palestinians—that is, the killing and expulsion of Palestinians for the sake of Jewish safety. And quite simply, the only way you can think that – that you can excuse the Nakba– is to believe that Jewish lives matter more than Palestinian lives. That is why I believe those of us working in our own communities—in my case, the Jewish community—need to make sure everyone not only knows about the Nakba but understands that this is the heart of the issue. And that central to the achievement of the “Zionist dream” has been that Jewish lives matter more than Arab lives. That so much attention was paid in Israel to the three kidnapped Israeli boys, in contrast to the total contempt and disregard for the large numbers of Palestinian youth killed and languishing in Israeli prisons for the crime of being Palestinian, brings this point home. 3. Respecting, protecting and promoting the rights of Palestinian refugees to return to their homes and properties as stipulated in UN resolution 194. That is what is needed to address the problem at its core. This entry was posted on July 20, 2014 at 7:48 pm and is filed under articles. You can follow any responses to this entry through the RSS 2.0 feed. Both comments and pings are currently closed.